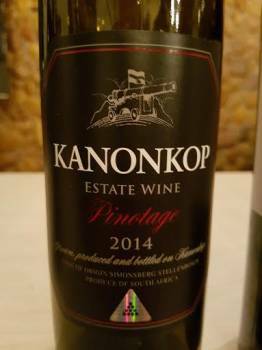 “Icon” is a loaded word when it comes to wine, but the Black Label Pinotage from Kanonkop in Stellenbosch is on track to becoming just that. From a single bushvine vineyard over 60 years old, the wine is matured for 18 months in 100% new oak. The current-release 2014 shows a slight reductive/rubbery note on the nose as well as cherries and plums, spice and a slight herbal note. The palate has both breadth and depth; sweet fruited on entry, fresh acidity and properly ripe fruit tannins making for a long, dry finish. Seems more accessible than the monumental 2013. Wine Cellar price: R1 450 a bottle. Previous articleThe best red wine in South Africa?